Masako Asaka has over 13 years of forensic accounting and auditing experience, specializing in fraud investigations and regulatory compliance work. Her expertise includes FCPA/anti-bribery & corruption, compliance and fraud risk management, third party/pre-acquisition due diligence, foreclosure review and Anti- Money Laundering for clients in variety of industries. Since joining FRA Masako has been providing accounting support to independent Co-Monitors related to an enforcement action by the Public Company Accounting Oversight Board (“PCAOB”) for a member firm of a global accounting firm, including the review and assessment of the audit firm’s design and execution of it system of quality control. Prior to joining FRA, Masako was a Director of KPMG LLP’s Forensic Services where she was involved in various fraud and FCPA investigations. Masako worked with external and internal counsel, as well as management of companies to address their concerns. Before she became a forensic accountant, Masako was as an auditor at KPMG LLP where she provided financial statement audit services to clients for over four years. During her tenure as an auditor, she gained experience in financial statement audits, SOX and internal control testing. Masako is a certified public accountant, certified fraud examiner, and also holds the designation certified in financial forensics from the American Institute of Certified Public Accountants. She also holds a Bachelor of Science degree in Accounting and a Bachelor of Arts degree in International Relations. 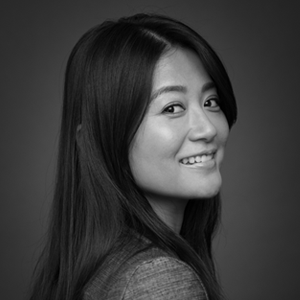 Masako, who is a native Japanese speaker, is based in FRA’s Washington DC office.